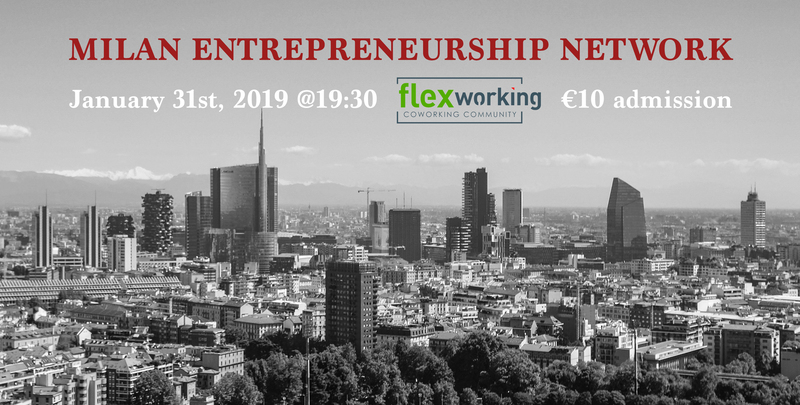 Milan Entrepreneurship Network will host its first event on January 31 at 19:30, at FlexWorking space (Via Cerva 20). We would like to provide aspiring entrepreneurs and professionals from various industries with the opportunity to network and find business partners / cofounders / mentorship. ** We would like to offer entrepreneurs the opportunity to pitch their business idea – promoting their startup or business idea, finding business partners who are interested in collaborating or finding investors. Please email the organiser at lakuznietsova@gmail.com to submit your idea. Please note that the Admission is €10. You can pay in cash during the event or online through Eventbrite.